Squirrel gain accidental entry into your residence or chimney? Are they living in your attic or crawl space? Then it is time to give Eviction Nuisance Wildlife Control a call. We are also available 24/7 for emergency removal. Call Eviction Nuisance Wildlife Control anytime @ 585-330-8786. 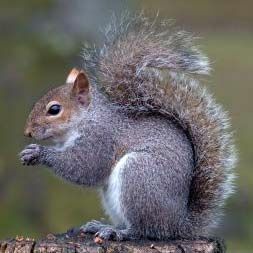 Eastern Gray Squirrel Typically gray squirrels will have two litters a year. The first litter is born in February or March, the second in June or July. Usually there can be any where from 1 to 4 born per litter or as many as 8. Squirrels do not hibernate. With cold weather squirrels are likely to chew through fascia, siding, soffits,or rotted areas of a residence or building for a warmer place to stay. If not removed they can chew wires which can cause fires. They will also damage insulation, and drywall. Many times you may find that a squirrel will have fallen down a uncapped chimney flue. It is always a wise choice to have a cap installed on your chimney that will help prevent any wildlife from gaining access to the chimney flues. American Red Squirrel Also known as the pine squirrel. 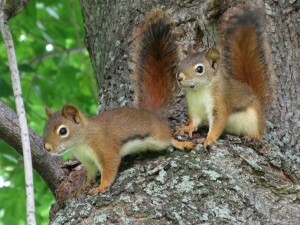 The red squirrel will have a litter of around 3 to 6 during the months of April – May. They will gain access to a residence or building through soffits, corner posts of a residence, gaps in foundations, fascia and vents. Trapping of red squirrels can take time as they are very trap shy. There are two kinds of flying squirrels found throughout Rochester,NY and the surrounding areas. 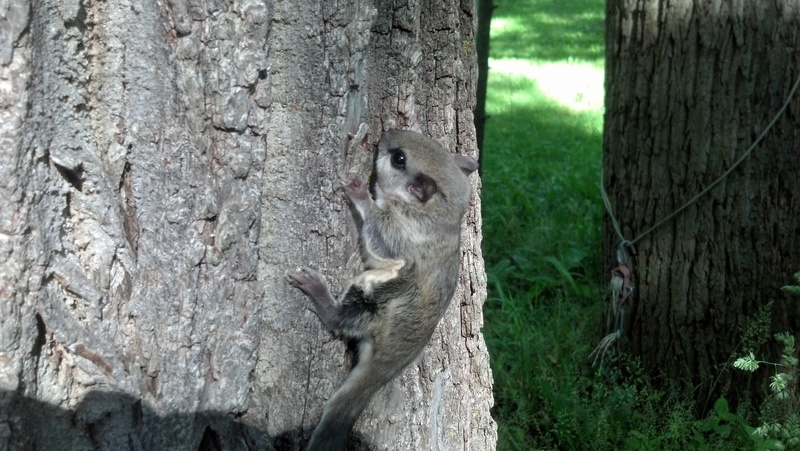 There is the Northern and the Southern Flying squirrel. The northern flying squirrel is 10 to 15 inches long and reddish brown in color. The southern flying squirrel is slightly smaller at 8 to 10 inches long and mouse gray in color. Both have large eyes, which help them see at night as they are mostly nocturnal. They can glide through the air via the folds of skin that act like a glider when they put there paws out after jumping. They can travel up to about 50 yards when gliding. They will enter attics through soffit gaps, holes in the fascia, or will chew through rotted would to gain access to a residence or building. Northern flying squirrels will usually have there litter during April – May, while the southern flying squirrel will have a litter during May – June. Each will have a litter size from 2 -7. Eviction Nuisance Wildlife Control has a few methods to rid you of squirrel problem. Most times we can install what is known as a 1-way door removal system. This system allows the squirrel(s) to exit but not return. This would be left up for a few days to ensure that they have gone out. After that we remove the door and seal off the entry point. If your residence or place of business is not a good candidate for the 1-way door we can trap and relocate your nuisance squirrel(s). After trapping is completed then its time to repair or seal off the entry point so nothing else can take up residence there after your squirrels have been evicted! 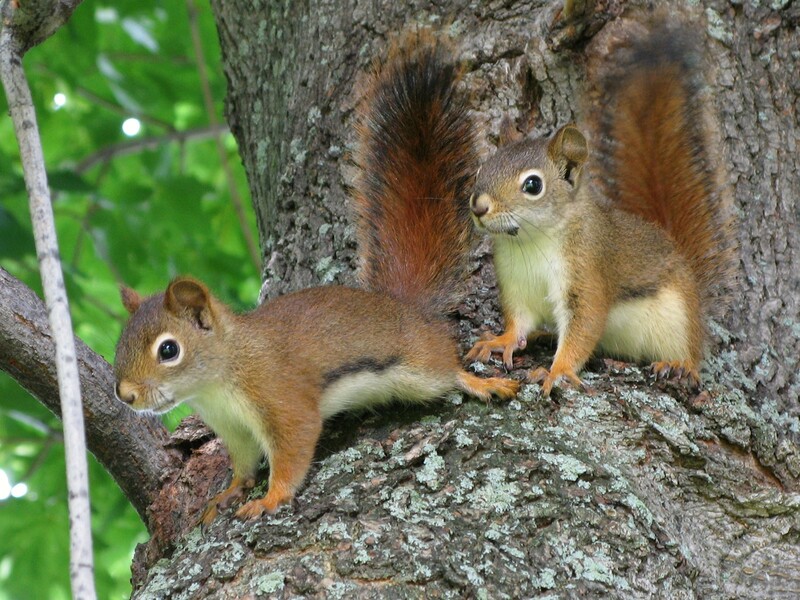 We offer squirrel removal and control in Rochester, NY and its surrounding areas! If you have a crazy squirrel running down your halls in the middle of the day or night we do offer 24/7 emergency services. Emergency services are for accidental entries into the living areas of the home. Squirrels driving you nuts? Then its time to call Eviction Nuisance Wildlife Control anytime @ 585-330-8786.